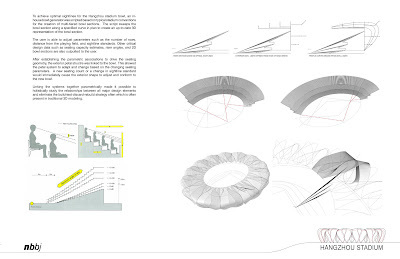 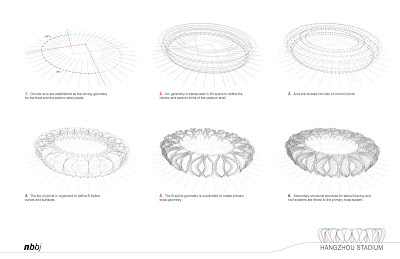 This is the first of a series of posts which will give an overview of the parametric design processes that are being used to design and develop the Hangzhou Stadium by NBBJ and CCDI. 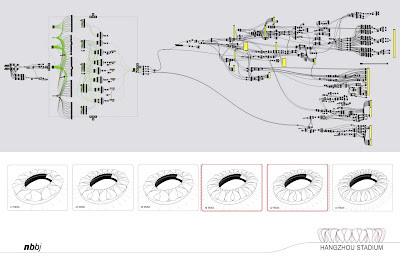 Grasshopper was used to create the parametric model. 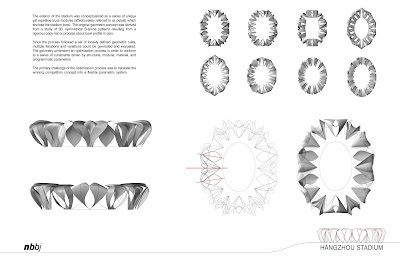 Click the images below to get a description of the techniques used. 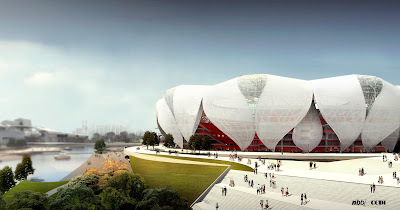 Client: Hangzhou Olympic & International Expo Centre Construction and Investment Co. Ltd.